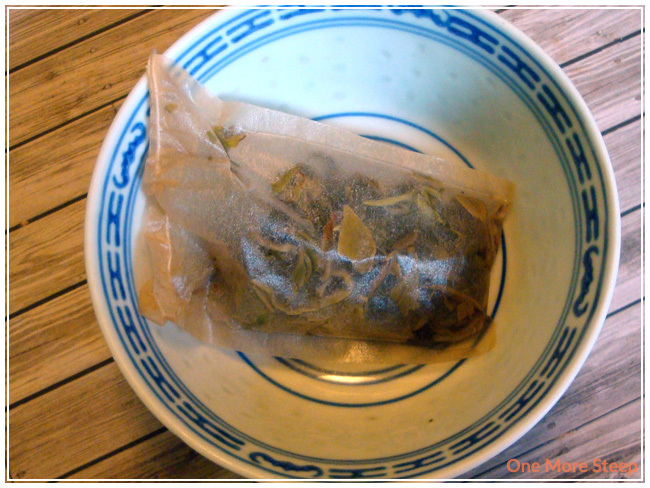 Teavana packages their loose leaf tea in these paper bags with a shiny plastic interior and tin tie for closure. The packaging is fairly simplistic, but does the trick. The back of the Teavana bag has information for recommended steeping time and water temperatures, and even includes the differences for hot water versus iced steeping, as well as some trouble shooting tips. After getting filled, the bag gets a little label to personalize it with the name of the tea, the type of tea, and some steeping instructions (amount, water temperature, and steeping time). The first time I smelled this tea, I thought to myself that it smells very sweet and floral. The tea pearls are evenly sized throughout, and you can see that each pearl is duo-coloured. The hand rolled pearls are light, and smell fantastic. 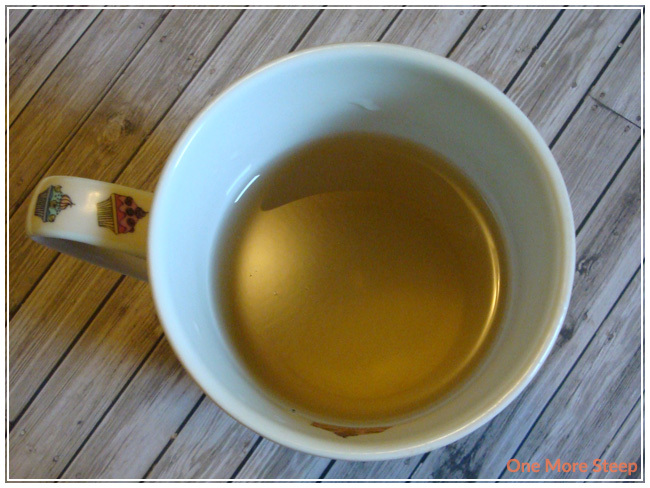 The only ingredient for this tea is white tea – Michelle finally reviews a straight tea! I love smelling this tea, it just smells so good. The funny thing about the name of this tea (Silver Yin Zhen Pearls) is that Yin Zhen is ‘silver needle’ in Mandarin Chinese – which means that the name of this tea is really Silver Silver Needle Pearls. A bit redundant! Teavana recommends steeping Silver Yin Zhen Pearls in water that is 79°C (175°F) for 4-5 minutes. I steeped it for about 5 minutes. Hand rolled pearl teas are beautiful in that they unfurl in the hot water and expand – a small amount of pearls turns into an amazing amount of tea leaves! The colour is beautiful yellow colour, clear and smells very floral. It’s fragrant and made me that much more eager to try it. First sip and it’s smooth. No bitterness, no astringency to be noted. It’s a very light and just amazing. It’s a little bit sweet, but not overly so. It has a pleasant aroma and an all around good quality tea. I quite like it! Given that it’s quite a bit pricey, I’m eager to know if it well resteep well. 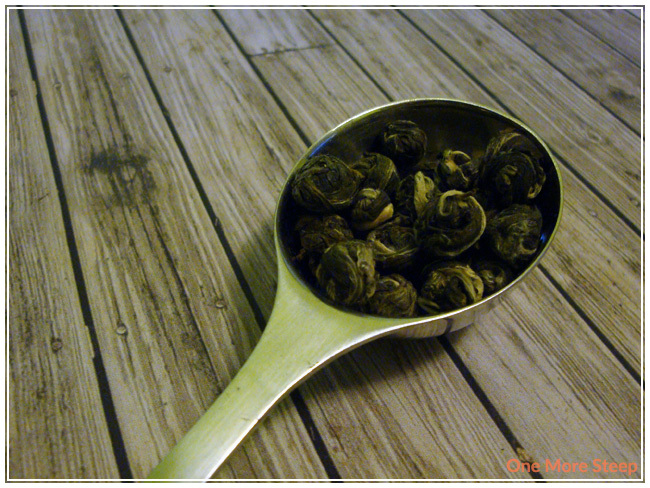 Straight teas tend to resteep well, and Silver Yin Zhen Pearls did not disappointed. The leaves didn’t further unfurl as they were mostly done the first time around, but the flavour is still incredibly good – same great colour, aroma, and taste. 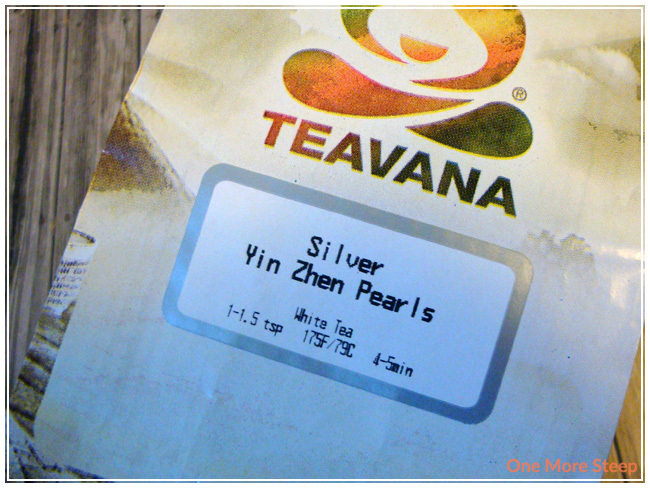 I loved Teavana’s Silver Yin Zhen Pearls. It’s a beautiful tea that tastes fantastic. It resteeps well, which adds a bit more bang to its buck. I do wish it was cheaper as it is a fairly expensive tea given that 2oz is only around ~50g. But it does taste amazing, and it’s quite fun to watch the pearls unfurl and do their thing. I do wish that I could buy smaller amounts of this tea because it is fairly expensive, but if you happen to get a ‘free reward’ through the Starbucks reward program, you can opt to redeem for 1oz of free tea at Teavana if you happen to have one locally – I don’t believe that you are able to redeem free rewards online.